In honor of Dreamcast birthday, A review of another Dreamcast exclusive game. Here is another game that is a forgotten "Hidden Gem" on the Dreamcast. 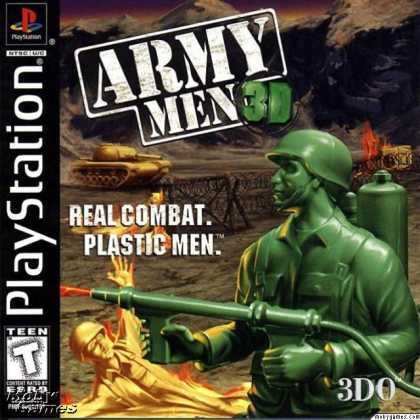 Many dismissed this title as a kid's game, or another version of all the Army Men video games. In reality a very well rounded Arcade and sometimes in depth Flight as well as Driving Simulator. Remember as a kid you pretend to fly that plane, race the Hot Wheels or blow up those plastic green soldiers? This game now puts you in the drivers seat of the plane, car or tank. More vehicles include a Spaceship, Helicopter, Jeep and a multitude of planes to fly. 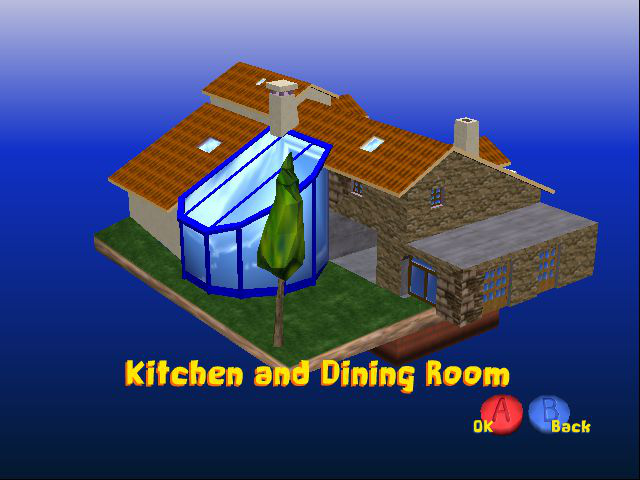 Each room of the house has various levels, from bombing a convoy, to dropping water bombs on a forest fire, to racing a course. Most levels give you two or more different vehicles, a battle of wits trying to figure how to complete a particular mission. Fly the plane get a view, then land and drive the tank up the ramp to get to a target. One of the levels take the scene of a Godzilla movie, complete with plastic Godzilla destroying the town. So why is that ferocious monster wearing the rabbit outfit anyways? Controls are very intuitive and feels real natural. This game works beautiful with the original controller. The Madcatz Panther DC really brings the game out. The Flightstick is so much better for flying then a thumbstick. For driving or racing levels, there are also steering-pedal controllers. 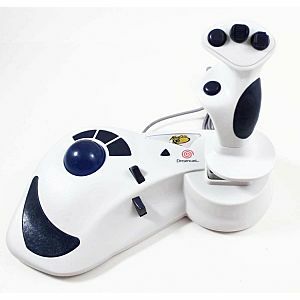 A driving controller works well and adds to the game, especially with foot pedals being used. Flying the helicopter at first needs to be learned, then it comes naturally. Flying while changing the height by moving the "collective" really has a tight control to get to the next target. View mode not only gives third and first person mode, but also left, right and rear views. An interesting unusual aspect is the capability of driving up walls. Literally think of "Speed Racer" sticky tires racing up that kitchen wall, even the tank can climb! This is where Toy Commander really shines, adding a whole different aspect of game play. There is also a strategy theme of sorts, a little bit of Command Conquer in Toy Commander. Load up the Green Army Men and dispatch them in key locations to kill the enemy. The trick is to stage the right soldier such as the machine gunners or bazooka soldier in just the right spot so they don't get wiped out. Of special "note" the soundtrack really adds to the game! You can set music to random, sequential or a particular track. Recognizable song synonymous with this game is the track titled "Your Mission". Get the original pressed game disc, some CDR copies do not include the wonderful music tracks. You can play Cat and Mouse, Death Match and Capture the Flag. One to Four Players. Yes Multiplayer will let you go solo to explore the arenas. You can also turn off the Active Environment so no enemies to contend with. 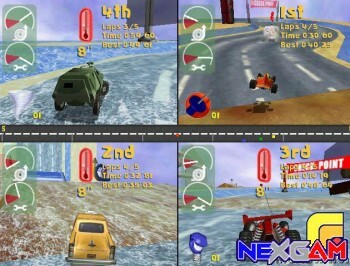 PAL only release called Toy Racer, a racing game using the Toy Commander Engine. Look for the demo disc from Sega Dreamcast Magazine January 2001 Volume 10 issue. 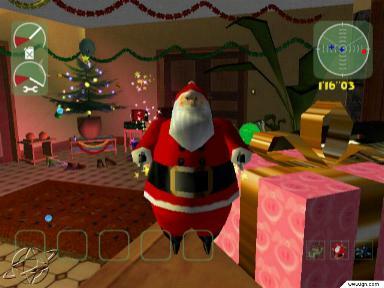 A single complete EXCLUSIVE level with a Christmas theme. You drive a jeep, fly a plane and control a toy Santa wearing a jet-pack. Ho! Ho! Ho! The Hawaiian scenery disc. Fly into volcano and into a giant kitchen. Dogfight in a house, similar to Toy Commander. Another PC flying toy game, even a UFO to try out. Not as good as Sublogic UFO, but different. Obligatory mention since there are so many versions. Do I have to mention Toy Story? Team ICO - ICO and Shadow of the Colossus information. Wild Metal (Country) - A Dreamcast and PC exclusive. Katamari Series Review - A review of the PS2 releases and a comparison. Put Dreamcast Toy Commander Disc in your PC. Look for various pics in sub folders. Last edited by CRTGAMER on Fri Jul 07, 2017 8:54 pm, edited 29 times in total. I've never gotten deep into the single player, though it is fun. The multiplayer though was a massive time sink for me one summer. I spent at least 4+ hours per sitting playing the game with friends a couple times a week. Where were you when I still had my DC? I´m sold I want them all. Never knew about Toy racer. That last image makes me think what Clockwork Knight 3 would have been like for the DC. A revisit Edit thanks to marurun's Thread. Updated the Review. Thanks for bumping, I wouldn't have found this and it really is a solid review, thanks. I don't have the panther flightstick (flightsticks are nice, but take too much space in the scheme of things, for my tastes) but i'll def give this game a go. Been on my shelf a couple years now and have yet to pop it in. why does google chrome give me a warning that this page could contain malware? ninjainspandex wrote: why does google chrome give me a warning that this page could contain malware? There is entirely too much Toy Commander on the forums at the moment. Your computer just cannot handle all of it.